I was really pleased that Ludlow 21 asked me to get involved again this year with their August Bank Holiday weekend event. 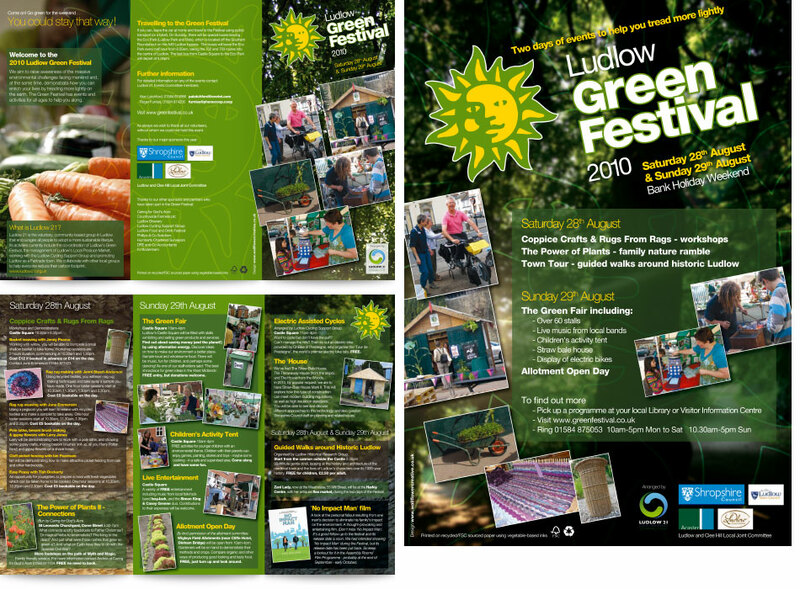 These posters and brochures will be placed all over south Shropshire to let people know what’s going on. There are over 60 stalls with like-minded folk showing crafts and local organic produce, ways to save money and the planet using alternative energy, as well as a Children’s Activity Tent, live entertainment and a Straw Bale House. Hopefully I should learn more about how to tread more lightly. July 14, 2010 | Filed under Design, Layout.